So first my cousin in Taiwan and her husband have a webcam. Kitty also has a webcam. Then CT got a webcam. So I jumped on the bandwagon. Now I got one, too. I actually think this is one of your tech gadgety good buys as opposed to Nintendo DS and the dogs :p and Warcraft 3. 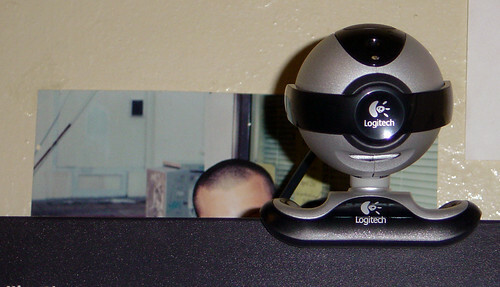 The webcam looks great, but that guy in the background has an absolutely fabulous forehead.